The following piece was submitted to the Nanaimo News Bulletin by Transport Action member Ian Gartshore. Originally published Apr 16, 2011. 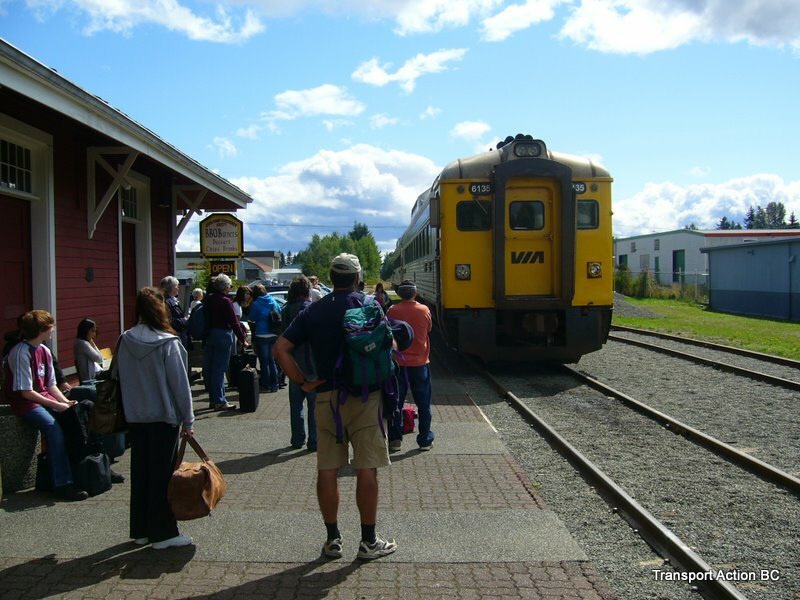 The familiar whistle of the VIA Rail passenger train has become silent. The deteriorating state of the tracks that had been neglected under the former owners has finally caught up to this now publically-owned railway. If an investment of $15 million is not initiated this spring, the railway will be gone for good. Critics say that if the railway can’t pay its own way, then it should die. Strange thinking when all other modes of travel are heavily subsidised by various governments. Why are railways alone not considered to be an ‘investment’ like roads, airports, and cruise ship or ferry terminals? Only in Canada. All other industrialized countries in the world (and many developing nations as well) are heavily investing in their rail infrastructure. Not here. Ours are disappearing. This is occurring at a time of rapidly rising fuel prices, increasing concerns about air quality and greenhouse gases, unstable economics due (in part) to rising energy costs, and the much higher costs of providing adequate infrastructure for trucks, buses and cars. Maintaining the hundreds of kilometres of roadways in Nanaimo alone costs us property owners nearly 40 per cent of our annual tax bite. Fully half of this year’s increase in taxes is due to the widening of Bowen Road (and associated infrastructure). The billions of dollars being spent on overpasses in the greater Victoria area to only briefly alleviate the ‘Colwood crawl’, as well as to build the new bridge and widen the Trans Canada highway east of Vancouver so that shipping companies can move goods from the port of Vancouver into the rest of North America is being paid for by you and me. Yet improving the rail infrastructure would save us a huge chunk of this investment, reduce traffic congestion, improve road safety, reduce pollution and greenhouse gases, improve local economies and create more jobs. 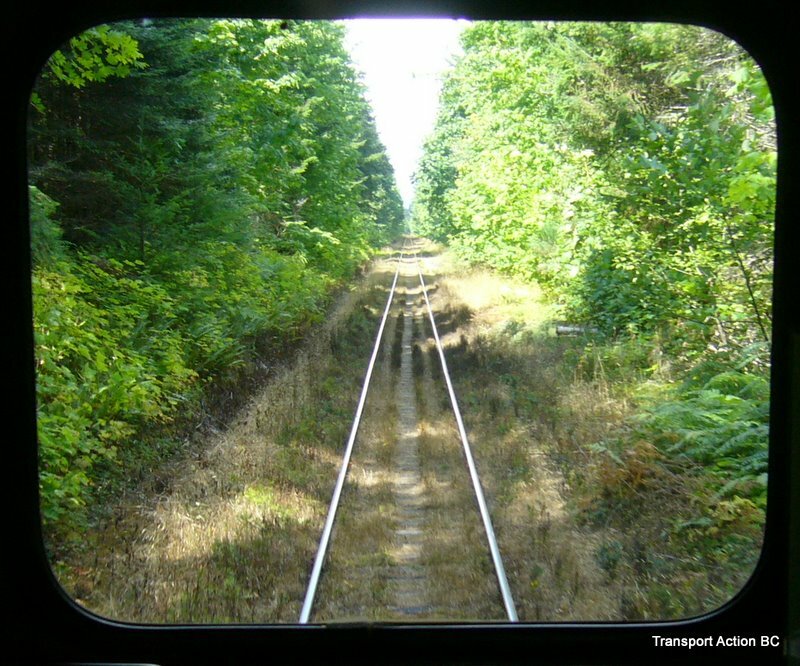 Former provincial transportation minister Kevin Falcon recently indicated that he now thought our railway was worth investing in (something he blocked while being the minister in charge). Only the province is balking at investing in this vital corridor, as the federal government has promised funds if the province would match them. When will Canada join the 21st century? Only when we taxpayers have said “enough”. Only when we have decided that becoming sustainable is not only better for our pocketbooks, it is simply wise. Ian Gartshore is the President of the non-profit Energy Solutions for Vancouver Island.